If you’re an entrepreneur, you must be wondering whether or not 2015 will be the year to follow your dreams of becoming a better businessman. If you wish to start off with a business but you still don’t have an idea to get started, this is perhaps a good place to get started. 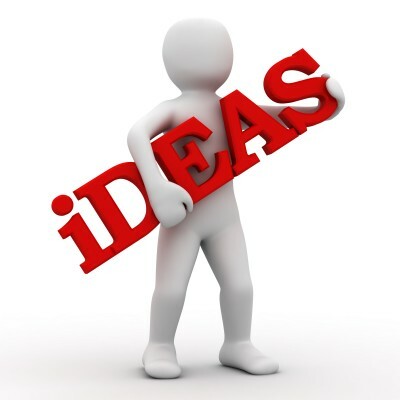 Below is a list of the top new business ideas that you may try starting off with in 2015 to make this a year of success. Check them out. Development of smart products: We owe a lot to the emergence of the internet of things as it is because of it that the smart products are about to become one of the biggest things around and there are endless possibilities with them. Very soon there will be a number of products that will be sensible to touch and there will be various different ways for people to interact with the objects. So, with the popularity of smart objects, you can try out a business that deals with such smart products. Organic beauty products: People of all ages have been shopping around and searching the all-natural and organic things, especially when it comes to their lifestyle products and food. But according to recent statistics, the over-50 aged crowd is particularly interested mostly in the natural beauty products that are made with things like kale and charcoal. Hence, if you can launch your own homemade face soaps, scrubs and other cosmetics; this could be a rather smart way of capturing the attention of a large number of people. Fast food business that is healthy: Did you ever dream of opening a restaurant or a food truck? If answered yes, this is perhaps just the perfect time to do so. According to JWT Intelligence, the millennials are more conscious about their health than any other age group and hence “guilt-free” food can become one of the rising business trends among the millennials. Healthcare consultant: With the soaring prices of healthcare costs, the business of people who can give easy solutions in the complicated world of healthcare is perhaps the best option. As newer changes come into effect under the Affordable Care Act and as the consumers try to enroll for insurance, people can easily make this transition easier by opening a business of a physical consultant. Hence, if you’re wondering about the smart and top new business ideas that you can try out in 2015, you can take into account the above mentioned ideas.